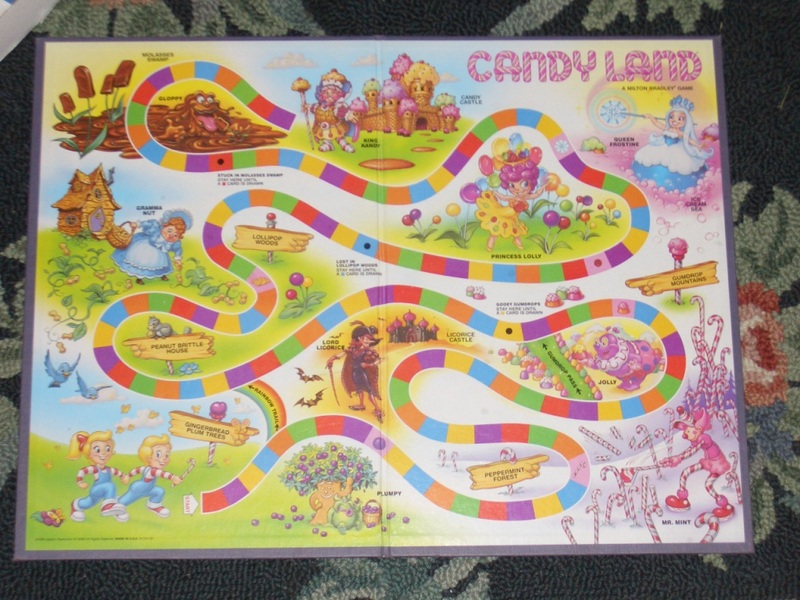 If you think of getting published as a game of Candyland (younger readers, think of your favorite fantasy video game; religious readers, think of Pilgrim’s Progress), there is a broad swathe of the board, close to the end, known as the Slough of Despair, aka Agent Hell. Finding a literary agent is a rite of passage writers must undergo to emerge into the Promised Land of publication–not self-publication, which is a different topic altogether, but mainstream, trade publication. In this phase of the game, writers must sling their words over walls too high to see across, and then wait patiently for a response that may or may not come. As a former agent myself, I know these things are untrue, and I’m always happy to talk about that; but it’s been a long time since I was an agent. In the interests of bringing a bit of transparency and perspective to the current workings of the business—a business very much in flux—I’ve launched a series of interviews with publishing professionals and authors. The first interview was with Tara Singh, editor at Viking/Penguin. Now I’m delighted to bring you a leading literary agent to share her insight and perspective. 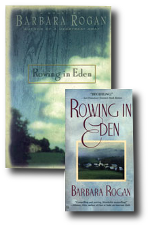 Gail Hochman has been in publishing for over 30 years. 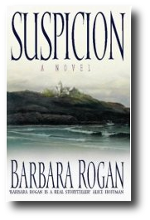 She is the president of Brandt & Hochman, long-time president of the AAR (Association of Authors’ Representatives) and agent to Scott Turow, Michael Cunningham, Julia Glass, Bob Shacochis, and Ursula Hegi. Gail is also, I’m proud to say, my agent, and she’s been kind enough to give me the following interview. It’s long and thought-provoking, so I’m dividing the interview into two parts, the second to be posted next week. (Check it out here.) You might want to sign up for email notification or RSS feed so as not to miss it. You studied psychobiology at Oberlin and considered a career in medicine. How did you end up in publishing? I took maybe one English class in college, majored in psychobiology and Italian studies. After I took a year off and went to school in Italy, I realized I did not want to go to medical school. I was a voracious reader as a child. A family friend who was a publishing executive lived in a house filled with books and manuscripts, and that looked intriguing. I discussed the field with him and thought I would try to get an entry level job, which I did. You started working for Putnam’s before becoming an agent. What made you choose agenting over publishing as a career path? I happened to be working at Putnam’s when it was a privately owned firm. This was the mid 1970‘s, when many publishers were independent, and the corporations were just starting to take over publishing houses. We had a change of management and a new publisher when the company was sold to a corporation, and it appeared that the new team would hire their own editors rather than promoting from within. Most of us younger people (assistant level) realized we should look for jobs elsewhere if we wanted to move along on some kind of ladder. I made a series of appointments to see the senior people who had been very kind to me when I first looked for a job, to ask their advice, and one of them steered me to John Hawkins, who was then looking for a young agent. I took that job, not expecting to love it, not knowing how it would be to be an agent, but figuring that I should try. I told him that if I hated it, I would quit in 6 months, and we would probably both be happy. But as it turned out I did not hate it! What qualities and abilities does an agent need? I think an agent needs patience (not my best quality, I confess) and willingness to read and reread and explain things and re-explain things. An agent must be detail-oriented but also be able to see a larger picture at all times, to help steer the writer forward in a smart way. I also think the agent must always remember to keep firmly in sight what might be going on in the mind of the person he/she is communicating with (on the phone, on email, whatever.) If it is a client—what is that client thinking about, what does he need and want, what does he fear most, what is his goal, what is he trying to accomplish? Many times a client calls with a question which is not really truly what is on his mind—our job is to try to understand what is on his mind and help him get there, or get him the proper information, or help redraw his goals to keep him on a wiser path. When you are talking to an editor, or a buyer of any sort, what is on his mind? What does he want from you? What do you want from him? How can you make a meeting of the minds so that the author –your client!—gets closer to accomplishing his goal? So the agent must listen, and be able to put the pieces together. And the agent must be a wise problem-solver. Discovering a new writing voice in a new ms that I think is outstanding, and eventually making that wonderful phone call to say we have an offer. What’s the most frustrating part? This is a business in flux. The authors have been working on their projects for the past several years, and must maintain optimism. They read articles and hear stories from other writers and even though they read in the business sections that this is a tough time for publishing, they don’t seem to get it. They feel that yes, story collections are hard to sell, but my story collection is worthy so it will sell…or my book should be selling in huger numbers, so the publisher is doing something wrong…when actually the market in general is tremendously depressed. Publishers are incredibly cautious in their buys, and the stores are buying very, very conservatively. And there are fewer physical places (stores) where they can ship copies of the books. So explaining this new drop in business to clients to me is the hardest. I sit in my office until 8 pm many nights and still leave much undone, because to accomplish anything these days takes so much more work. 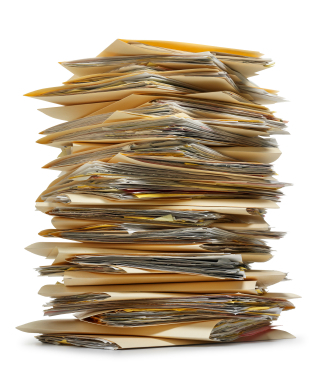 Approximately how many unsolicited queries does your office get a year? I myself get 40-50 query letters a week. Someone reads the query letters, but I don’t read them all. I am a softie and might well say yes to half of them, and I just do not have the time to read all these mss. Approximately how many are real contenders—books you read in full and consider seriously? Maybe 10% we would read and maybe half of them could be contenders. I have approximately 6 agents. Half of them take on maybe 5, 6 maybe 8 writers a year. I am optimistic and so I probably take on a dozen or 15 a year, sometimes more, if I receive an amazing manuscript that I just don’t want to turn away. But note that there are many young agents who need to build a list, whereas I have a 30+ year old list! Some people might look at those numbers and conclude that an unpublished novelist has as much chance of getting an agent as a camel of passing through the eye of a needle. What do you say? There are scores of new agents, hundreds of excellent agents out there. I have been doing this for 35 years, so of course I have a full list already and have to be cautious in taking up more projects. I usually have 20-30 mss in my house to read on a weekend, so obviously I cannot consider every page of every ms with the care and attention the author would like. Each agent can figure out relatively quickly if a project could ever be “right” for him, and we can reject quickly the ones that are not at all right. But it is the mss that are kind of on the fence that are difficult. I do a lot of editorial work on my mss most of the time, so I find myself reading revisions more often than I care to admit—it takes hours and hours. So I have to be careful in what I decide to work with. And then, even after a ms passes scrutiny with a good agent, it is hard to sell. So the next step is that the author begs us to keep sending out a ms even after we have tried the most likely houses, and gotten nowhere with it. Agents these days have too many mss we love but cannot sell, and the authors of these mss are dying for us to keep sending, which keeps us in the office till 8 pm, to try to get through this work load in some kind of wise and also helpful way. That’s just the start of my interview with literary agent Gail Hochman. Next week we’ll talk about what she looks for in a query; the importance of “platform”; what attracts her to a novel, and what turns her off; things every writer should ask before signing on with an agent; changes in the industry; and the impact of the self-publishing phenomenon. I am the author of nine novels, including A DANGEROUS FICTION, published by Viking and Penguin. I'm also a former editor and literary agent. Currently I teach fiction writing on my online school, www.nextlevelworkshop.com. 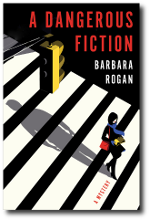 This entry was posted in Editors, Interviews, Literary Agent Search, Mainstream publishing, Query Letter, Submitting and tagged Gail Hochman, literary agent search, query letters, Submitting your work, trade publishing. Bookmark the permalink. I greatly appreciate the candor in Gail’s answers. To many, perhaps most, writers, this is not only a complex, but mysterious industry. Thanks, Barbara, for having these interviews. That’s Gail all right–candor is her middle name. She’ll explain all the reasons why something can’t possibly sell…then she’ll go out and sell it. I enjoyed Part One of what promises to be an informative read. Some familiar things are worth saying repeatedly; some new facts, good to learn and think about. I do have a question for anyone familiar with the NYC Pitch Conference. I’d like an editor’s take on it, and/or an agent’s. Apparently, the panel at this conference is composed of top-drawer editors, and when necessary, they suggest agents they like to work with. That is, they make the suggestions to those writers whose books have piqued high interest. Anyhow, I think the idea of a “pitching to perfection” conference sounds quite rewarding, and hope to hear from anyone familiar with it as to what the experience is like. Glad you found the interview interesting. No rose-colored glasses here, but the center holds, I think. I’m not familiar with the pitch conference, but maybe someone else is and will chime in. I was part of a pitch conference a couple years ago. It was like being in jury selection! I enjoyed listening to the other pitches, but when it was my turn I was terrified with stage fright. I was eventually able to choke out my pitch, but I would have been more eloquent without such an audience. There were ten of us, and I am pleased that my pitch earned a request for pages(though eventually not a contract with this agent, though I did sell the series to a publisher the next year). I think they sound terrifying—like putting your toddler on trial. But people say they are useful, if you live through them. Congrats on selling your book! This makes me feel like, simultaneously, self-publishing and trying my darndest to be the one voice that stands out from the slush pile. They say the mark of a great mind is the ability to embrace two opposite ideas at the same time. Tony, sorry to hear this. “No answer means no” is the latest (and worst, IMO) trend in the submissions game, as agents drown in email submissions. It’s got to be terribly demoralizing for those subjected to it—with all the work that goes into a novel, the least you can expect is a “Thanks, but not for us.” Still, the fact that you had seven out of seven non-responses makes me wonder if there’s a problem with your query letter. This is especially so because your professional experience would suggest to agents that you’re intelligent, write well and have good stories to tell. Have you run the query by the savvy folks at Agent Query or Absolute Write? I should also point out that seven submissions aren’t very many. There are a ton of good agents out there. Once you’ve taken another look at your query letter and maybe gotten some feedback on it, I’d encourage you to keep submitting. 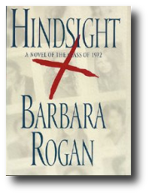 Looking forward to follow-up interview with Gail Hockman. Many of us writers don’t get to see this inside stuff. Looking forward to your follow-up interview with Gail Hockman.